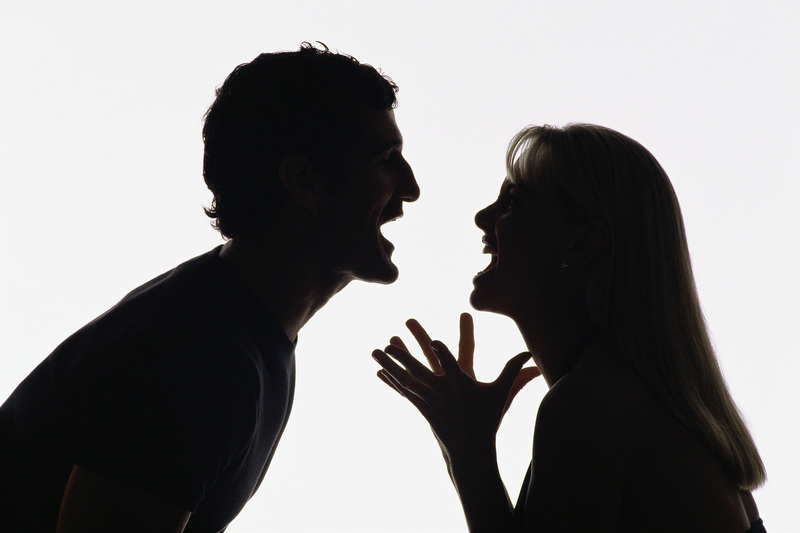 Care's Journey To Life: Day 174: Is Divorce or Separation Really Necessary? Day 174: Is Divorce or Separation Really Necessary? When my husband and I were considering divorce a couple of years ago, we were in a mental and emotional state of wanting the conflict, turmoil, and disappointments to end. We had been reacting to each other for many years and within this time, neither one of us were taking responsibility for our own reactions because we believed that we, as individuals, were not at fault for our reactions and that the way that we were experiencing ourselves was a result of the other person's words, actions, and unwillingness to change for the betterment of the relationship. After an extensive amount of time of living like this and on a day where we directing ourselves from a point of giving up after being angry for several weeks, we decided to consider discussing the possibility of divorce as we believed that this was the only way we could release ourselves from the stress and emotional and mental trauma that would accumulate and explode when we were in the same physical space. It looked like we were in a loveless relationship that had no potential nor future and that it was time to let each other go, move on, and give each other the opportunity to have a better life. The following day the topic of divorcing wasn't as prevalent as the day before and as the days progressed we talked less-and-less about divorcing and more-and-more about how we could come to agreements in our relationship/partnership. For one, it was not practical for us to divorce - we have a child, a home, finances, and other responsibilities together that are intertwined. So, if we had gone ahead with the divorce at that time it would have been from a point of self-interest and from my perspective, irresponsible because we wouldn't only be creating consequence for ourselves that would be difficult to live with, we would be placing unnecessary conflict, confusion, fear, anxiety, stress and other negative experiences, memories, and emotions onto our child. Another point that was realized is that because we became less-and-less concerned about divorcing after time that the decision to divorce would have been made from a state of energetic reaction - meaning, responding to the negative experiences that were coming up as a result of our fears, memories, thoughts, emotions, and individual desires rather than the actual reality of our situation which was that were required to make some adjustments to our day-to-day living. When the energy had diminished, we sat down together and wrote out what each of us physically and mentally required in order to maintain stability in our living. We found that most of my concerns were focused on responsibilities and chores that weren't getting done and accumulating and that my husband simply wanted to be more together as a family and a couple. Looking back, I see that it would have been quite ridiculous to have separated and divorced for these reasons. I mean, all that was required is that we give a little bit of ourselves and our time to each other, our child, our home, and our other responsibilities! After we wrote out our list of what would assist and support us to remain stable within the relationship, we then allocated who would be taking care of what and how often we would be doing this. So, it would be my daily responsibility to cook dinner and my husband's daily responsibility to dishes or my husband would give our child a bath and then I would be the one to get our child into bed at night. For time together as a family, we go out on a Saturday and have mini-adventures where we have lunch, get groceries and/or go somewhere local that we've never been before. As a couple, we make sure to be together when we're not working outside of home - we watch movies and TV series, we have dinner together, having cool discussions, and other things depending on what we're interested in at the moment. The point is that we're in the same room and we're doing whatever we're doing TOGETHER! Since then, our agreement has stood. Once or twice we have had to go back to our agreement and make a few adjustments depending on work schedules or other changes in our day-to-day living situation which is easy because we've already set time aside together and it only takes a few moments. A result of this is that there is very little conflict in our relationship/partnership and when points emerge that need to be faced as a couple, it is no problem because we're no longer caught up with anger, dissatisfaction, blame and all of the fear and emotional turmoil that comes with these. Even better, we're getting into understanding and getting to know each other which is something that we weren't able to do before as we always had to assume what the other personal wanted or needed and because of that, there was a tendency to misinterpret and create a lot of unrealistic expectations. So for those considering divorce or in the process of divorce, I would suggest to slow down, wait for the energy to pass (and it will), and together write out what it is that each of you wants, needs, and requires in order for you to be satisfied with your daily life together. Within this, set-aside blame, righteousness, and other mind-created projections and imaginations and look at the facts - the real actual physical things you each require to assist and support you - and from here, decide on a plan of how each of you will commit yourself to getting these things done for yourselves and each other. Then, move your selves to do it. You will find that your lives together will become easier and easier and easier and you may even look back one day to where you started and see the unnecessary stress that you placed yourself in and how you can now 'pat yourself on the back' because you've not only improved your relationship with your partner but you've also improved your relationship with yourself. Awesome support! Thanks for sharing. Gracias por compartir este bloc; ya que es un excelente ejemplo para muchas personas que no consideran que cuando hay un hijo de por medio, es mejor llevar las cosas con calma y no pensar tanto en ellos y mas en su hijo. Sí Sofía. En nuestra mente también la razón de que la separación o el divorcio es mejor para el niño - al que raramente el caso. Una y otra vez vemos el estrés y el trauma que esta decisión crea. Qué es mejor para el niño es que el padre asuma la responsabilidad de detener y reacciones. Gracias Sofía! Hi Erianna. Thanks for responding. In a past relationship, I also came in contact with a gentleman that performed a ritual that appeared to reunite me with a partner. The experience was fascinating - however, within a period of about 6 months, we broke up again. The problem was that neither my partner nor myself changed - even though we were back together, we were still facing the same conflicts and we didn't know how to make these issues better. It would be my suggestion that you both look at who you are in the relationship, why you have both made the decisions that you have made, and what you both would like from being together. What I have found is that when one makes the decision to have an affair outside of the marriage agreement, that there is something going on there that needs to be faced - for your husband, I would suggest for him to look at where he is seeing himself as 'not good enough' and how he has used this as an excuse, reason, and/or justification to act on his desires. I would also suggest for him to look at his desires - where do they come from? And why is he allowing these desires to influence him to such an extent that he would compromise the well-being of his children? See, in our minds we have the tendency to justify these desires prior to actually acting on them - in our minds we show ourselves how everything is 'going to be okay' when in reality it is not. So, it is going to take a lot more than a 'spell' to change your partner, he's actually going to have to make the decision to commit himself to the relationship because he sees his responsibility to you, the children, and himself and because he sees the real consequences of what happens if he does not change. For you, I would suggest to look at why you 'need your man' - what is it that you're getting from the relationship that you have not given yourself? Aside from the real, actual financial stability, is there something that you are getting from your husband that you don't see is possible for yourself to have on your own? I mean, what are you going to do if your partner decides not change? Are you going to go see the 'spellcaster' again or are you going to pick yourself up, do what is required to stand on your own two feet, and take matters into your own hands and make the necessary adjustments to your living situation that ensures that this never happens again? Day 177: Addicted To Stress? Whaaat? Day 175: Is the Grass Greener? Day 173: Can it really wait until later?